I was just alerted to something on Twitter which led me to pursue a lead. That led to awareness that the Milwaukee Brewers have traded Norichika Aoki to the Kansas City Royals for left-handed pitcher Will Smith. Smith, 24, worked almost exclusively out of the bullpen for the Royals in 2013 appearing in 19 contests with just one start. He started just 10 of his 28 appearances for the Omaha Storm Chasers (the Royals’ Triple-A affiliate) in 2013 as well. Smith, 6’5″ 250 lbs, throws from the left-side and will at worst fill a need that Doug Melvin made no secret about wanting to take care of. That need being another left-handed relief pitcher to compliment Tom Gorzelanny in Ron Roenicke’s bullpen. But, as Doug Melvin told reporters shortly after the trade was announced, Will Smith will be coming to Maryvale on February 15th as a starting pitcher. Aoki will be missed. He provided a quality lead-off hitter and mostly capable defense primarily in right field as a Brewer. The trade opens up the roster to further bring along the possible move of Ryan Braun to right field so that Milwaukee can get their young, left-field-only slugger Khris Davis into the everyday lineup. Norichika Aoki. 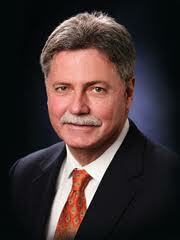 The announcement was made by President of Baseball Operations and General Manager Doug Melvin. Smith was acquired by the Royals via trade from the Angels on July 22, 2010. He was originally selected by the Angels in the seventh round of the 2007 First-Year Player Draft. Smith has spent parts of the last two seasons in the Major Leagues with Kansas City, going 8-10 with a 4.76 ERA in 35 games (17 starts). He has gone 6-10 with a 5.48 ERA as a starter (93.2ip, 57er) and 2-0 with a 2.45 ERA in relief (29.1ip, 8er). Smith went 2-1 with a 3.24 ERA in 19 games (1 start) during seven stints with the Royals this season (4/21, 4/28, 6/25-7/8, 8/4-8/6, 8/10-8/12, 8/16-8/20 and 8/25-end). He held opponents to a .202 batting average with 43 strikeouts in just 33.1 innings. 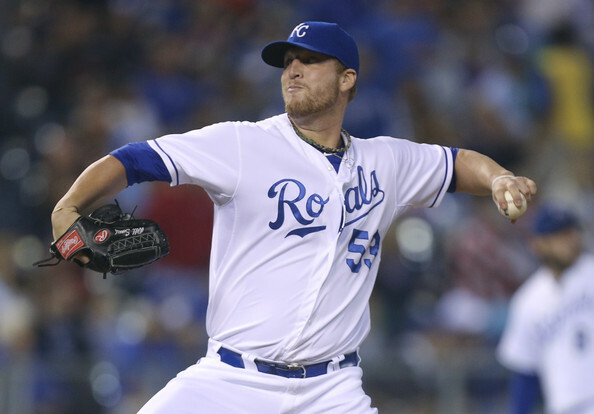 Smith made his Major League debut in 2012 with the Royals, going 6-9 with a 5.32 ERA in 16 starts. Aoki, who turns 32 on January 5, batted .287 with 18 HR, 87 RBI and 50 stolen bases in 306 games during his two seasons with the Brewers. He signed with Milwaukee on January 17, 2012 after his negotiating rights were awarded to the team by the Tokyo Yakult Swallows of the Japanese Central League on December 19, 2011. The Milwaukee Brewers announced their postseason award winners as voted by members of the Milwaukee Chapter of the Baseball Writers Association of America (BBWAA). A total of eight ballots were cast for each award, assigning five points for first place, three for second and one for third. Center fielder Carlos Gomez was voted Brewers Most Valuable Player as he received all eight first-place votes (40 points). He was followed by shortstop Jean Segura (18 points), catcher Jonathan Lucroy (13) and pitcher Kyle Lohse (1). Gomez, a first-time All-Star selection this season, batted .284 with 24 HR, 73 RBI and 40 stolen bases in 147 games. He was among the National League leaders in triples (T2nd, 10), stolen bases (4th), slugging percentage (7th, .506) and extra-base hits (T8th, 61). Gomez became the first player in franchise history to produce 20+ home runs and 40+ stolen bases in a season. He was the only player in the Major Leagues to accomplish that feat in 2013. The Gold Glove Award candidate also recorded 12 assists in center field, which ranked second in the Major Leagues from that position. Kyle Lohse was voted Brewers Most Valuable Pitcher as he received all eight first-place votes (40 points). Jim Henderson (24 points), Brandon Kintzler (7) and Yovani Gallardo (1) also received consideration. Lohse, who signed with the Brewers as a free agent on March 25, went 11-10 with a 3.35 ERA in 32 starts during his first season in Milwaukee. He led the team in ERA, innings pitched (198.2) and quality starts (20). He ranked fifth in the National League in fewest walks per nine innings (1.6). Lohse went 10-4 with a 2.91 ERA over his last 22 starts, posting 16 quality starts (139ip, 45er). Lohse (38 points) was also voted Brewers Top Newcomer, receiving seven first-place votes and one second-place vote. He was followed by second baseman Scooter Gennett (26 points – one first-place vote). Outfielder Khris Davis (7 points) and pitcher Tyler Thornburg (1) were also listed on ballots. Outfielder Norichika Aoki (34 points) received five first-place votes and three second-place votes to edge pitcher Brandon Kintzler (27 points – three first place-votes, four second-place votes) and earn Brewers Unsung Hero honors. A total of eight players were listed on ballots for this award. Aoki batted .286 with 8 HR, 37 RBI and 20 stolen bases in 155 games. He ranked among the National League leaders in multi-hit games (T7th, 50) and hits (T10th, 171). He led the team in games, at-bats (597), on-base percentage (.356) and walks (55) while tying Carlos Gomez for the team lead in runs (80). Aoki struck out just 40 times in 674 plate appearances this season, the best ratio in the Major Leagues (16.9). Catcher Jonathan Lucroy (33 points) earned the Good Guy Award, receiving six first-place votes and one second-place vote. The other first-place votes went to center fielder Carlos Gomez, who finished second with 18 points, and shortstop Jean Segura. A total of nine players were listed on ballots for this honor, the most of any award this season. So much for making this a running series of posts, but life got in the way a lot during August and I just couldn’t find the time for this aspect of things. That being said, I first had this notion for the series back when Jonathan Lucroy walked off against Aroldis Chapman and the Reds back on August 16th at Miller Park. As I mentioned here back on August 1st, the end of a season like this brings out many naysayers and exposes a multitude of casual fans who can’t wait until the Packers (or whichever NFL team is their favorite) begin to training camp and pre-season. But there are certainly things to continue to watch baseball for in August and September of a “lost” season (at least “lost” as far as the playoffs are concerned). On August 1st I spoke of September callups of which the Brewers tapped top prospect Jimmy Nelson. Nelson is getting his feet wet and experiencing what goes into being a Major League player from the travel schedule to the daily routine and more. On August 16th the Brewers were down to their last turn at the plate when the unexpected happened. Jonathan Lucroy stepped to the plate with a man on, trailing by a run, against a pitcher to which point in his career he was 0-for-5 with five strikeouts against. Lucroy worked a seven-pitch at-bat, fouling off five consecutive fastballs averging 98 MPH. Then, on the seventh pitch of the at-bat, Chapman hung a slider. And, as the saying goes, you hang ’em, we bang ’em. Lucroy sent Chapman and the Reds walking off the field in defeat. Miller Park erupted and the Brewers celebrated an unexpected victory, because if Lucroy doesn’t come through in that situation, there’s hardly a guarantee that Aramis Ramirez (career 0-for-3, 3 K, 1 BB) or Sean Halton (career 0-for-1, 1 K) would have. In fact, Lucroy has faced Chapman once since that day and again struck out. These games exist and they are an absolute delight to attend and to be paying attention to. After all, cheering our collective heads off is what being a fan is all about. That brings us specifically to the game almost exactly one month later on September 15th. The Brewers trailed 5-1 going into the 8th inning, having been stymied all day by the pitcher who they are historically terrible against. Look up some of the career numbers of Brewers hitters against Bronson Arroyo and you’ll be floored if you didn’t already realize how poor they are. Anyway, the Brewers are looking set up for consecutive losses to the Reds, a team which Milwaukee just took a series from on the road. But then the magic of baseball took over and the Brewers pulled out an unexpected victory. Norichika Aoki entered the game as a pinch hitter and walked. Khris Davis pinch-hit for Scooter Gennett and was hit by a pitch. Jean Segura tripled to the right-centerfield gap, scoring both Aoki and Davis. Lucroy followed that up with a sacrifice fly to the warning track in right field, and the game was tied. In the 9th, Jim Henderson struck out two of the first three batters he faced, walking Shin-Soo Choo in between. He stole second and Ron Roenicke elected to put Joey Votto on base, putting the force in play. Noted Brewers killer Jay Bruce stepped in and hammered a ball that was headed over the wall for a heart-crushing three-run home run. But then Carlos Gomez did what he had done four other times this season and lept at the wall to catch the ball and keep the runs off of the scoreboard. That gave the offense a chance and a chance is all Sean Halton has ever wanted. Halton swung at a 1-0 change up and the Brewers were walk-off winners again! That’s the beauty of baseball, fellow fans. I know the term “any given Sunday” exists for good reason in the National Football League, but there are 162 “Sundays” in a Major League Baseball season. Any one of them has a chance to end up in an unexpected victory, snatched from the jaws of defeat. This season of Sundays has but 13 games left after tonight. That’s 14 more chances to witness something unexpected.